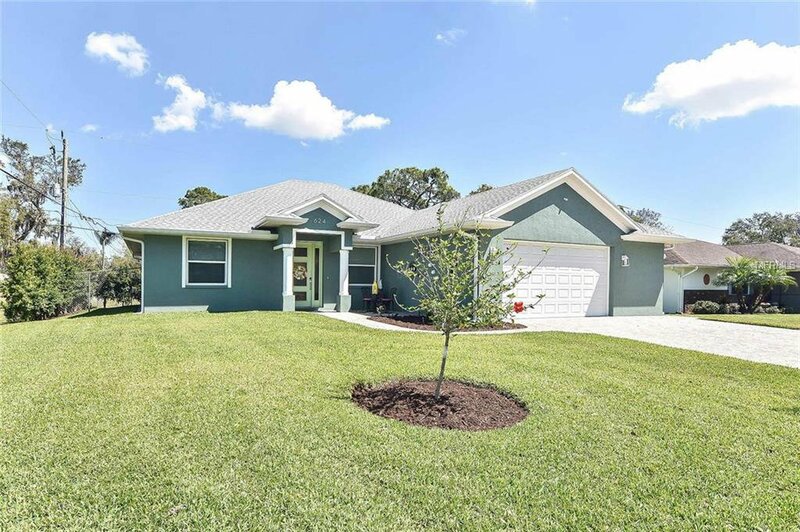 A better than new home! 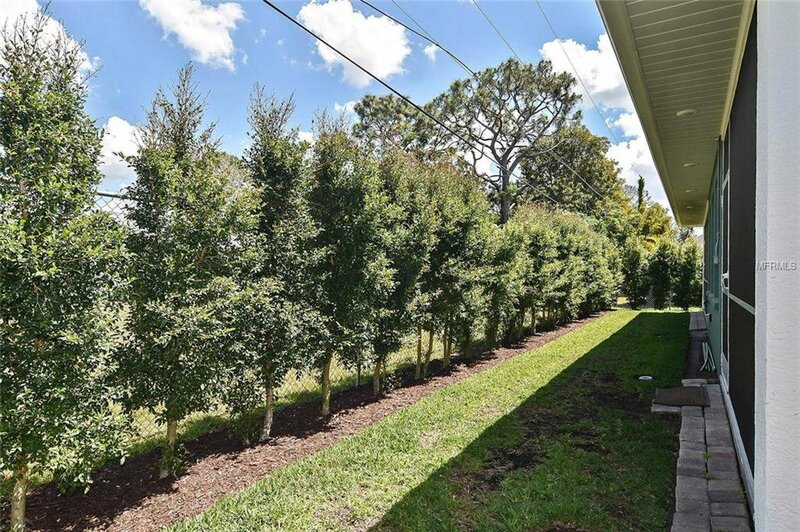 You’ll notice the impressive quality and style starting with the brick paver driveway and the attractive landscaping. 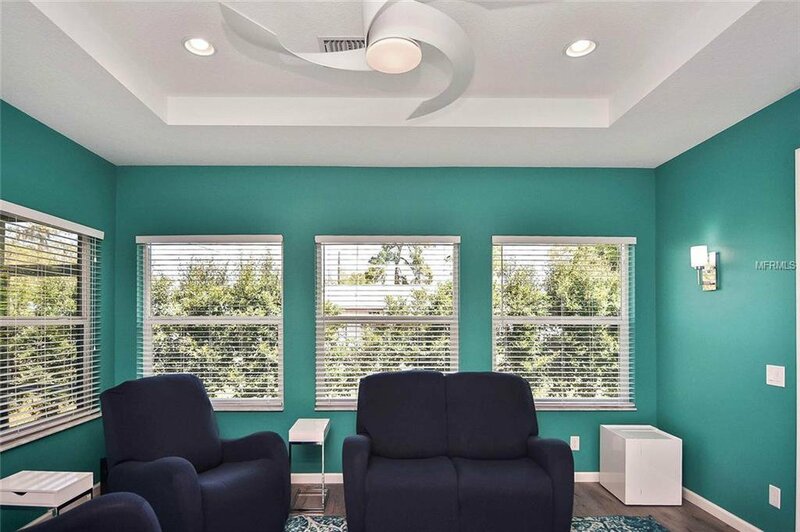 The style continues inside with an open floor plan, high ceilings, vinyl plank flooring, designer light fixtures, and ceiling fans. 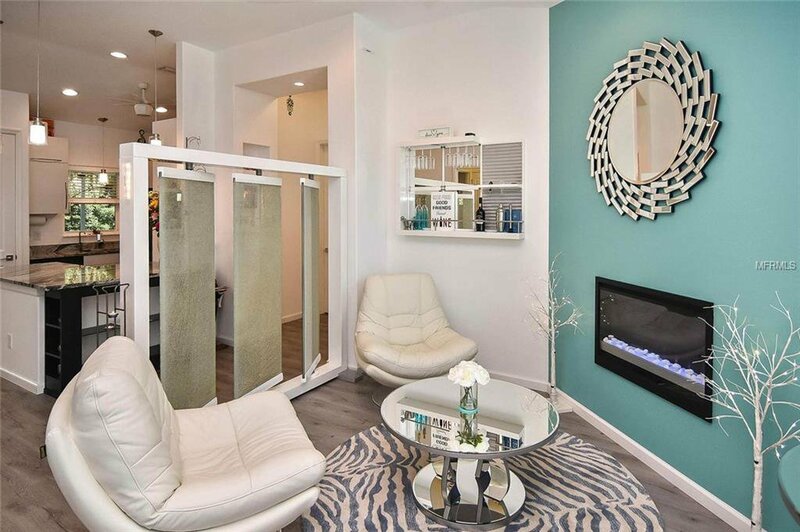 An elegant electric fireplace is the star of the family room which flows easily into the dining area. 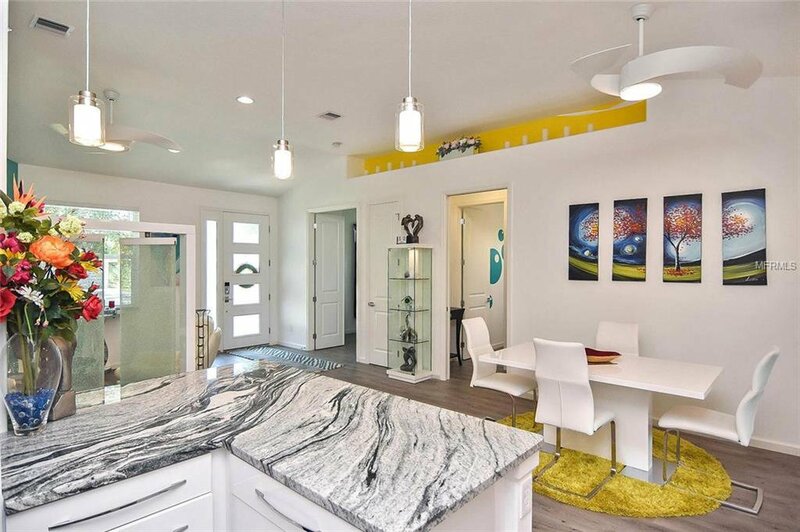 An island with a breakfast bar graces the transition from the dining area to the kitchen, which has over-sized cabinets with drawers and plenty of usable space. 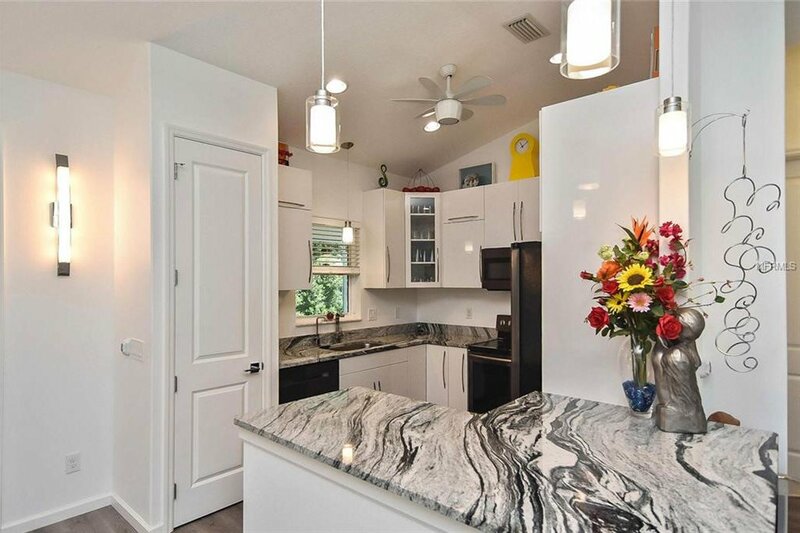 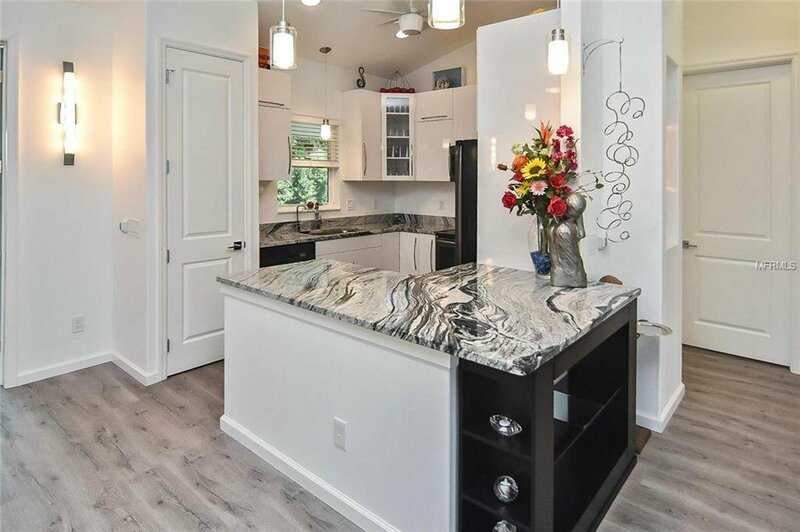 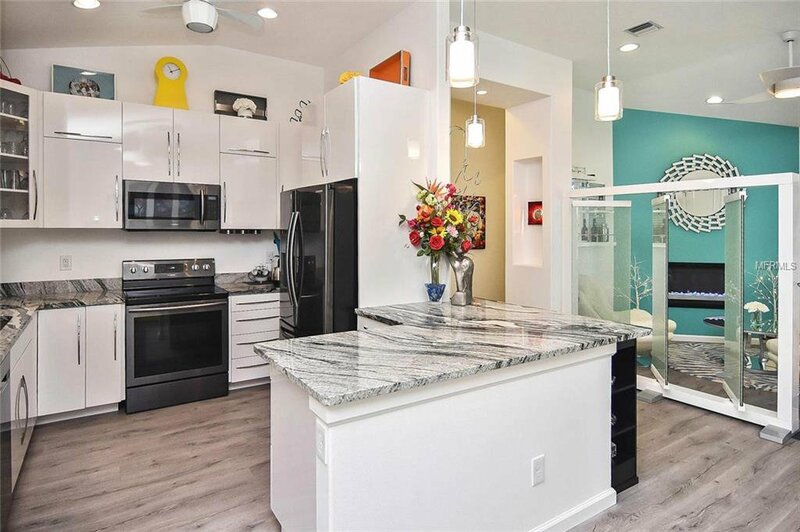 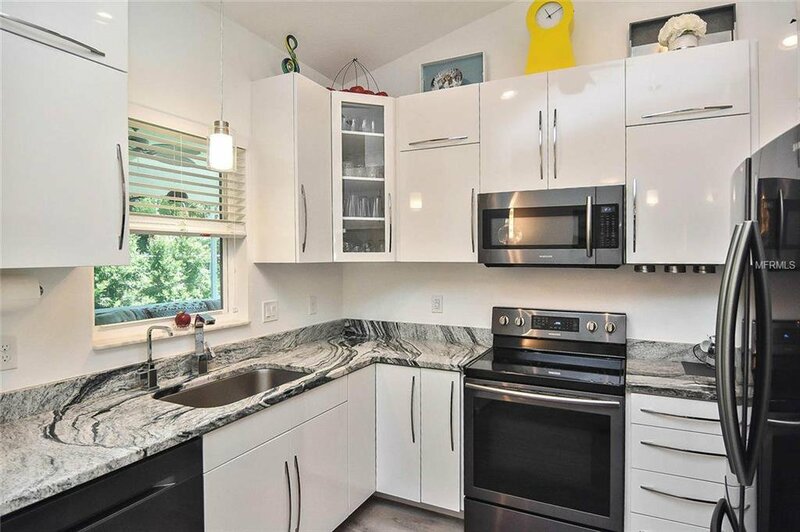 Stainless steel appliances and a marble-like granite counters complete this stylish kitchen. 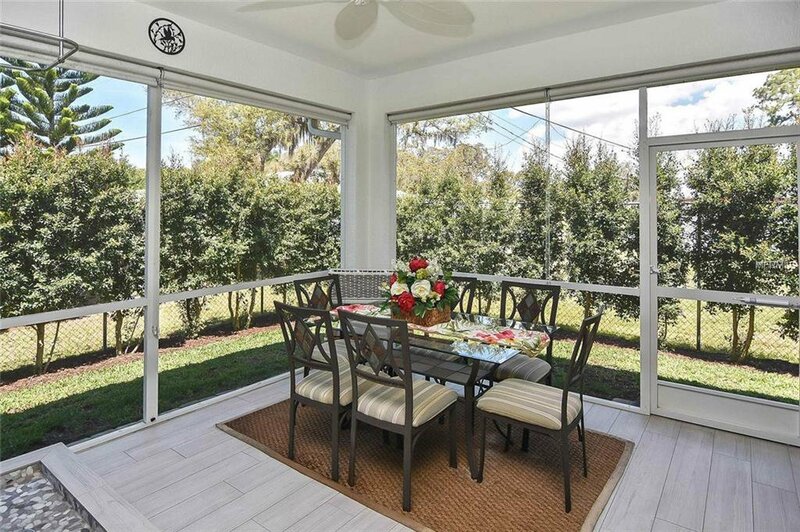 French doors lead from the dining area to the comfortable living room. 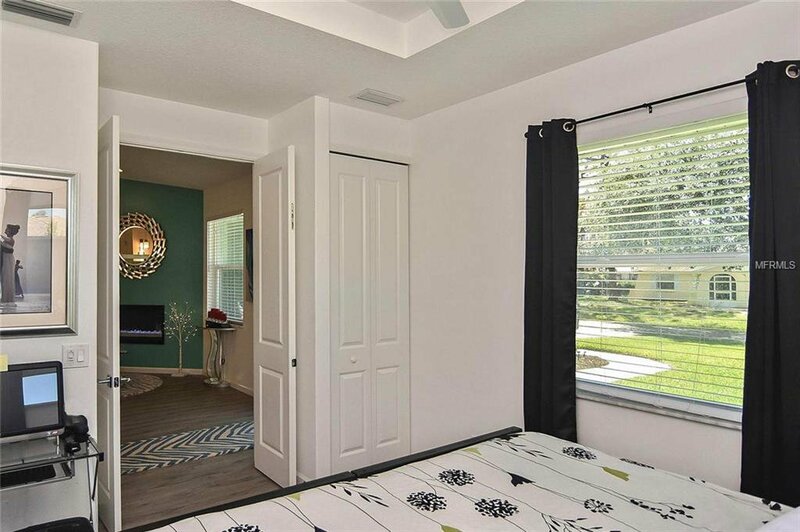 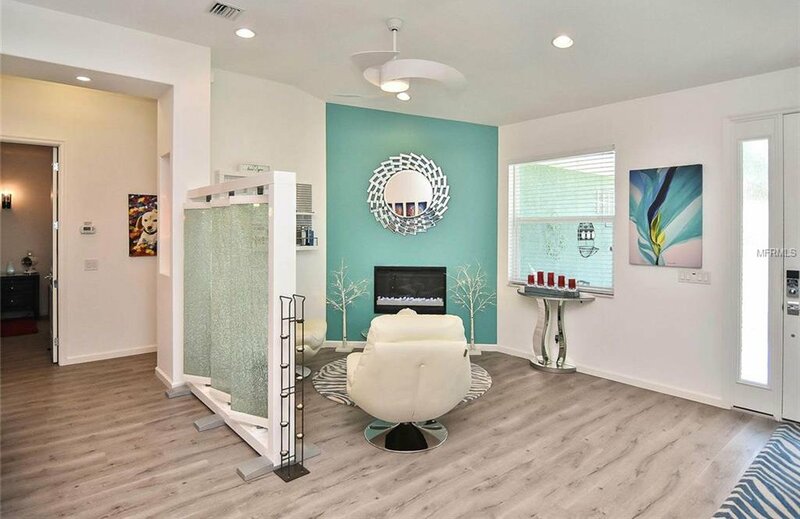 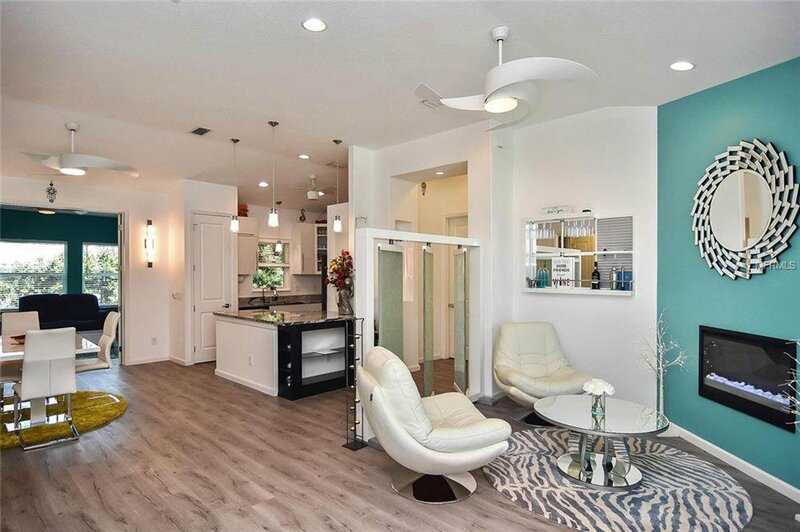 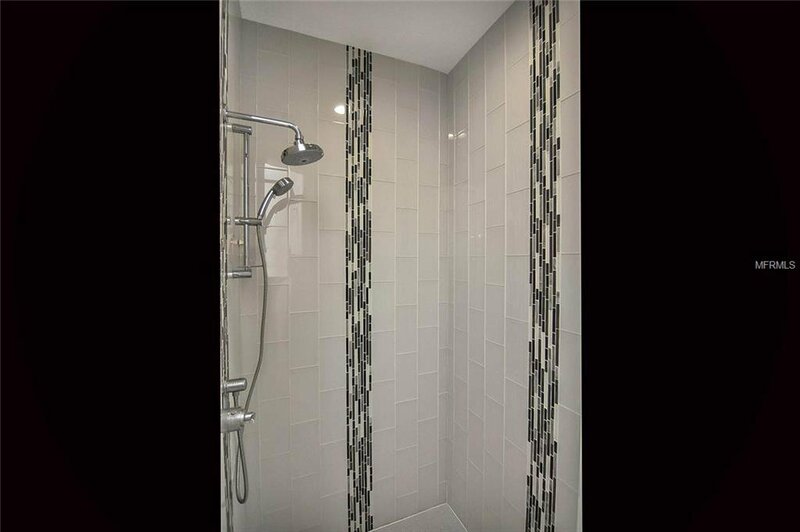 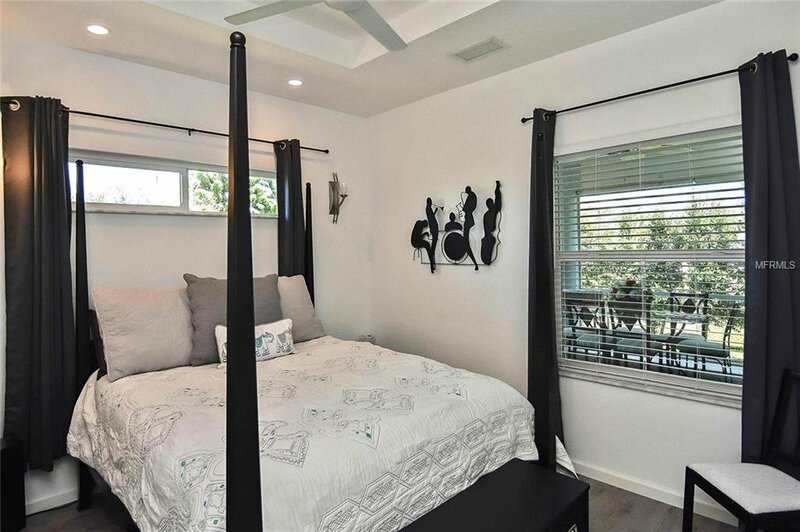 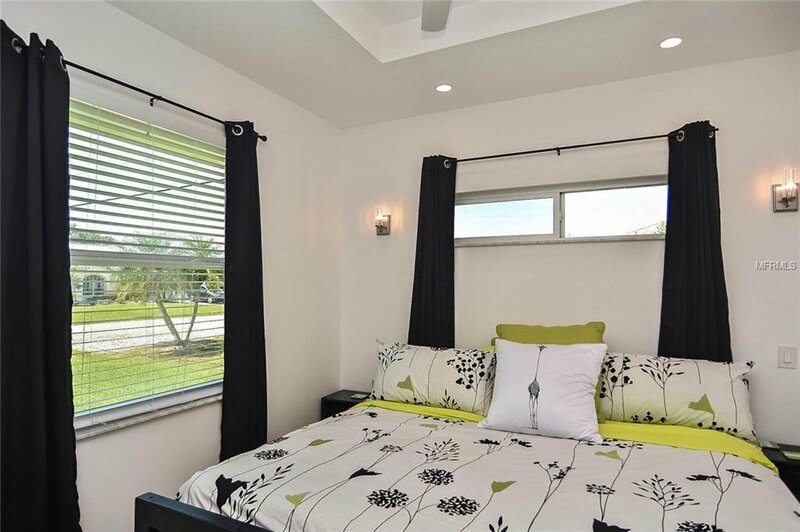 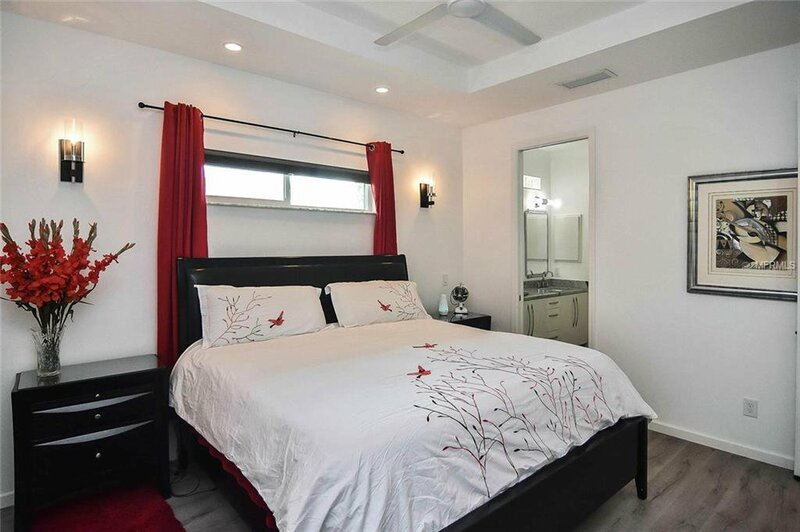 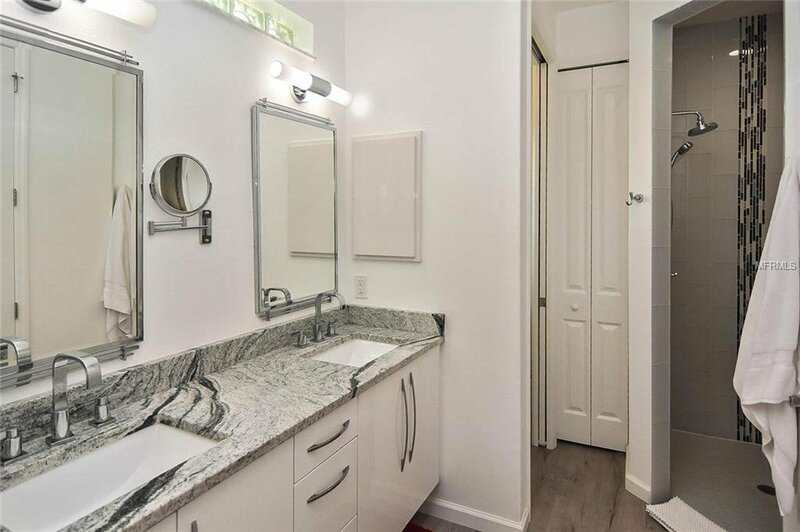 The split floor plan provides privacy for the owner’s suite, which has a walk-in closet, double sink vanity, and a beautiful floor to ceiling tiled shower. 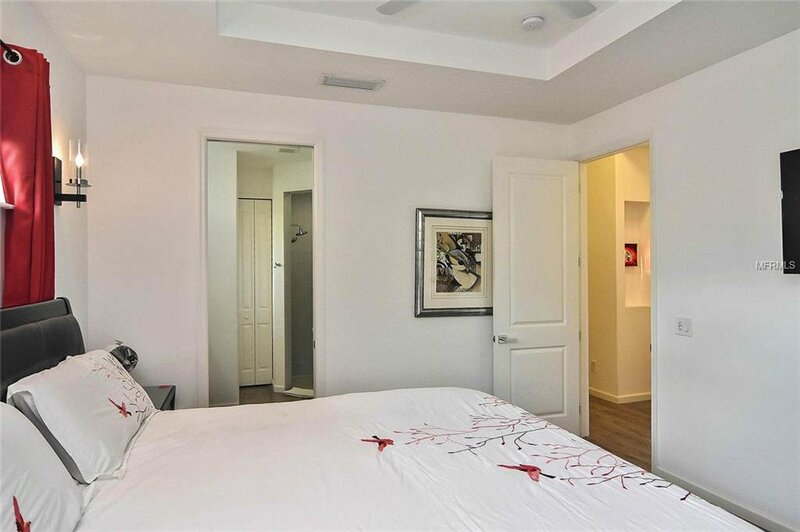 The guest bedroom and bathroom offer a suite-like feel with a pocket door that encloses the hallway. 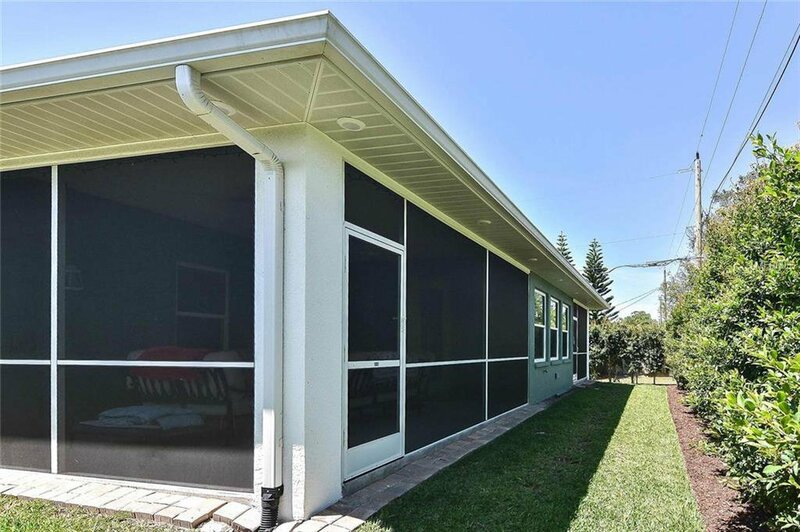 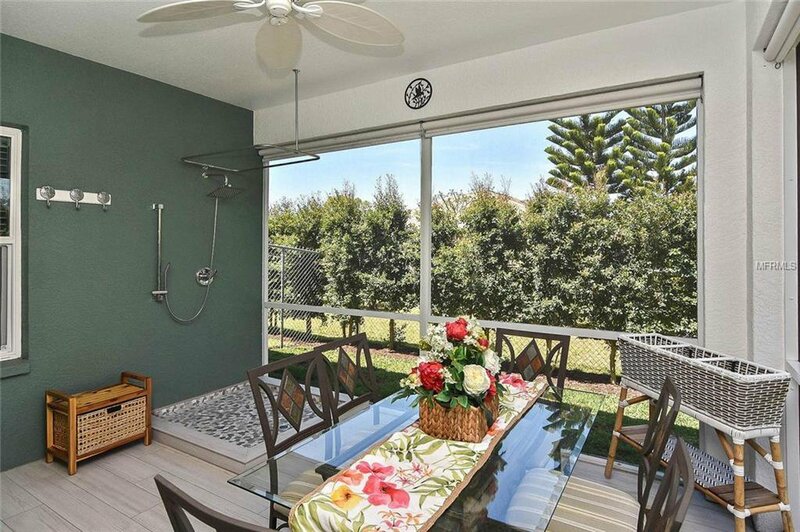 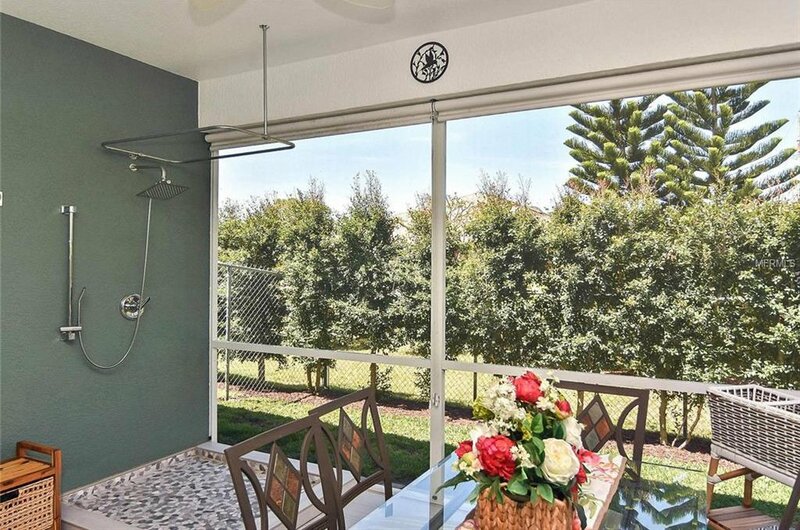 There are two screened lanais behind the house and an attractive outdoor shower. 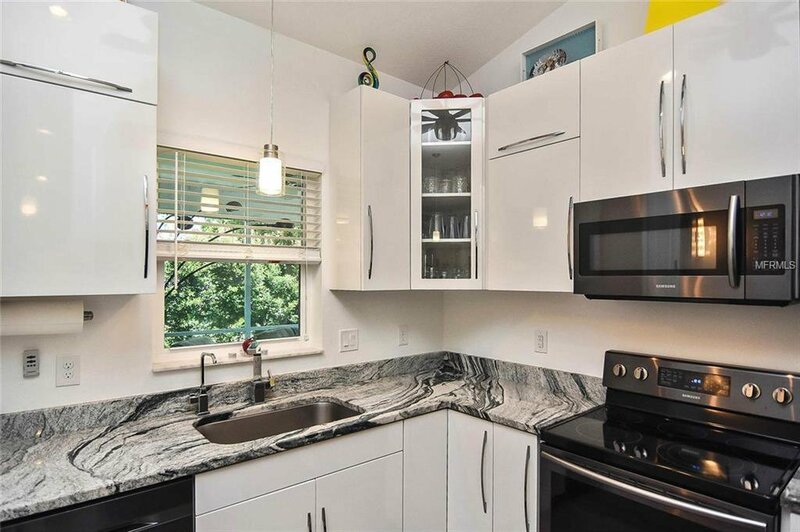 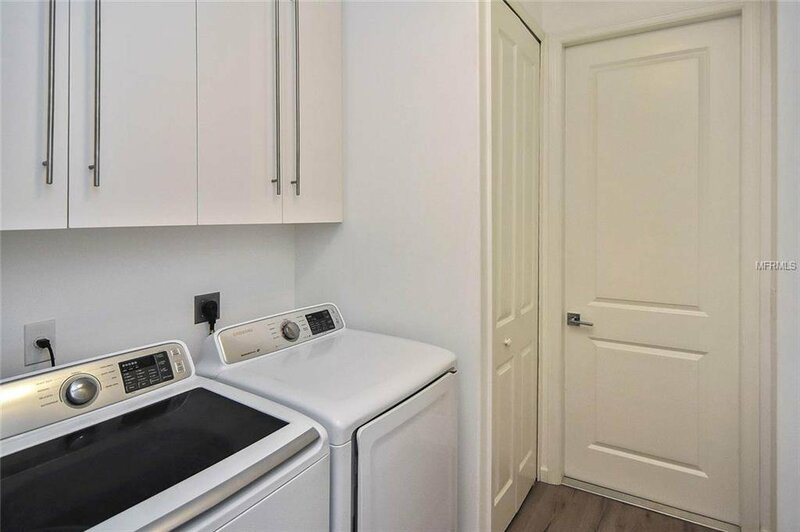 There’s an oversized 2-car garage (with its own air/heat) with rubber flooring, work space, and plenty of cabinets. 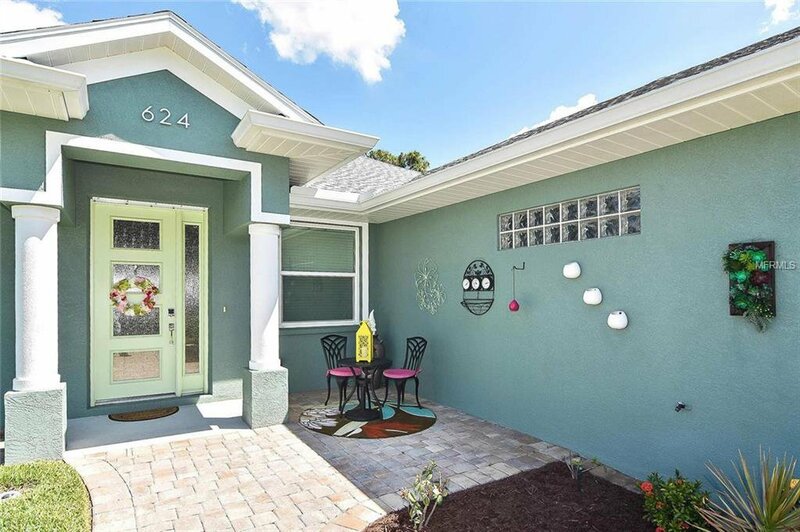 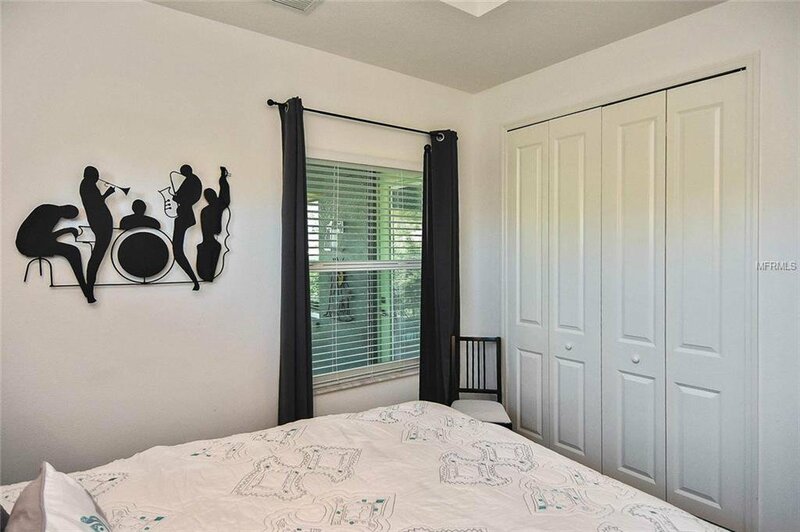 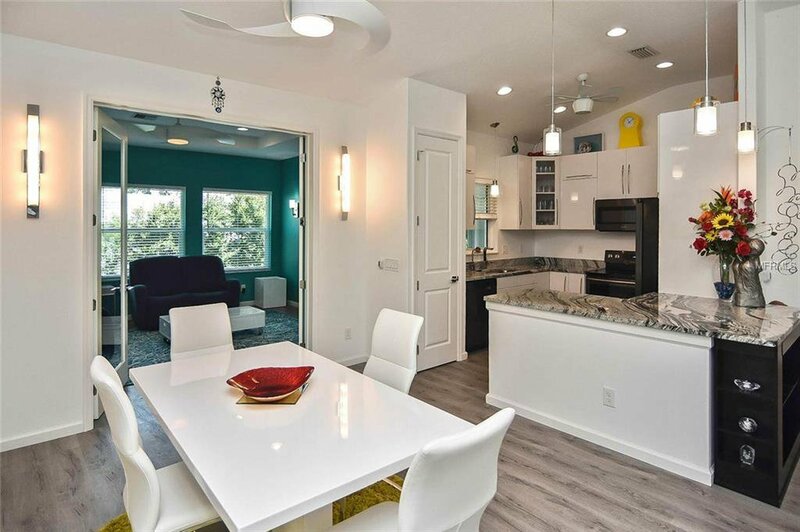 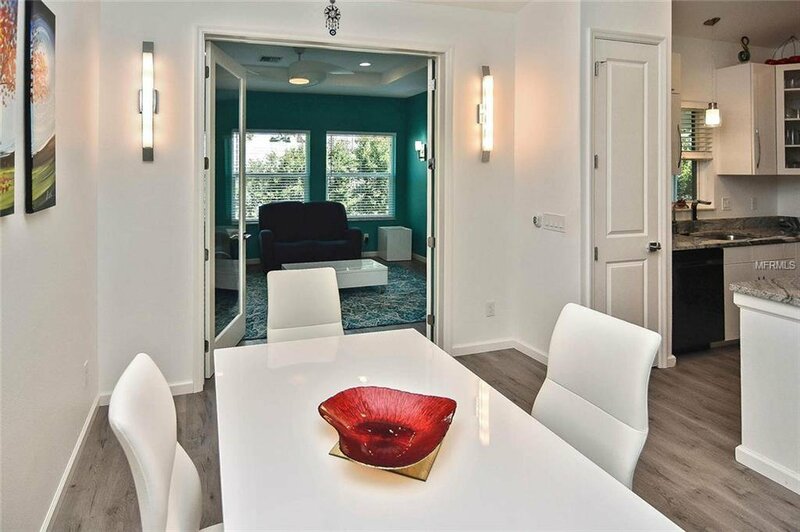 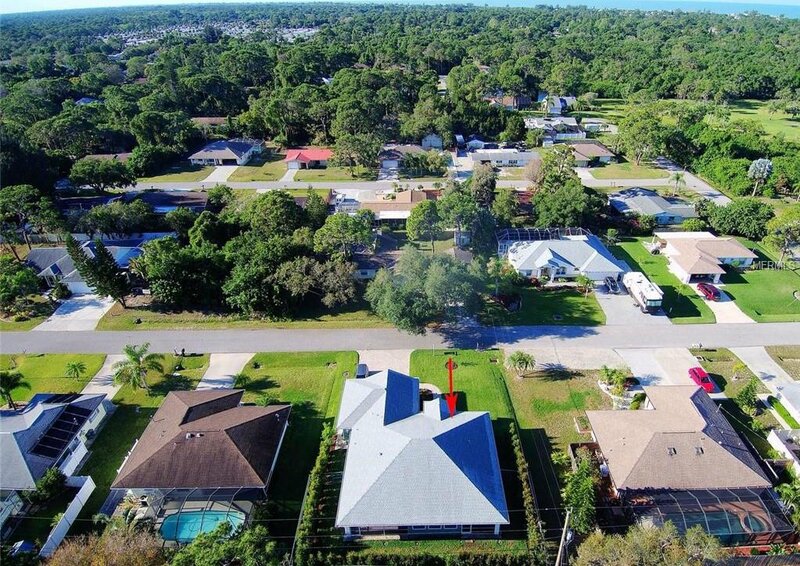 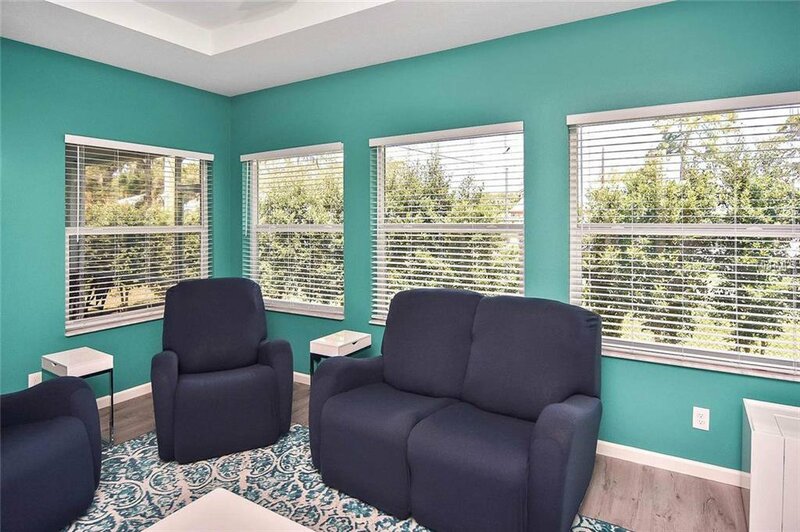 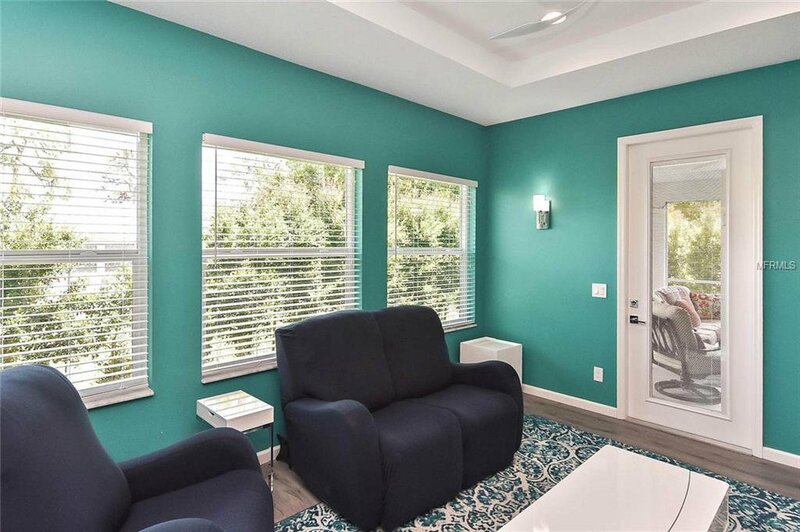 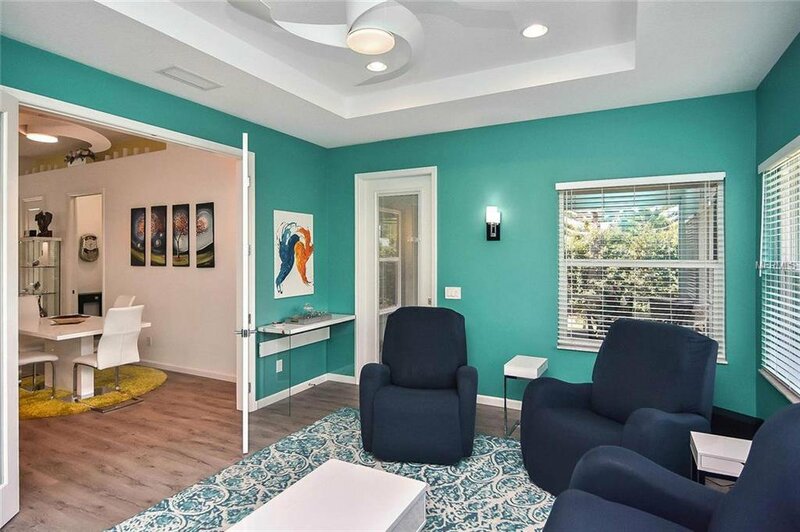 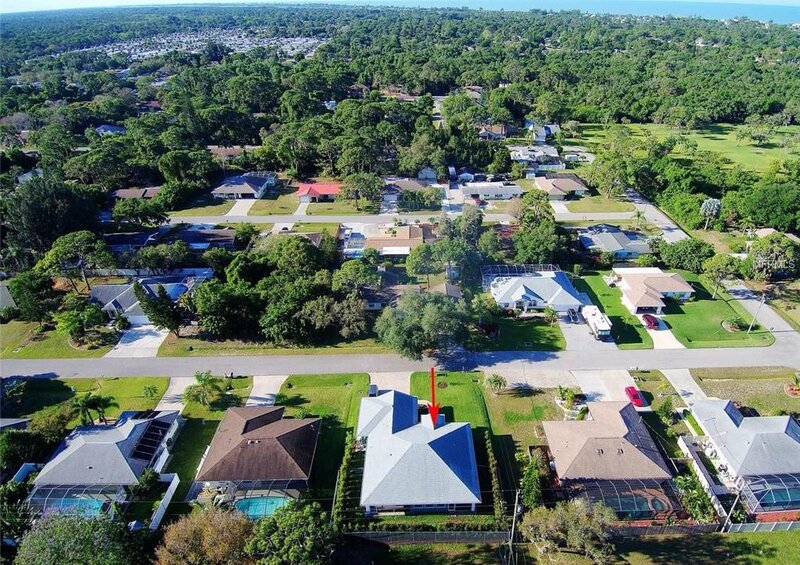 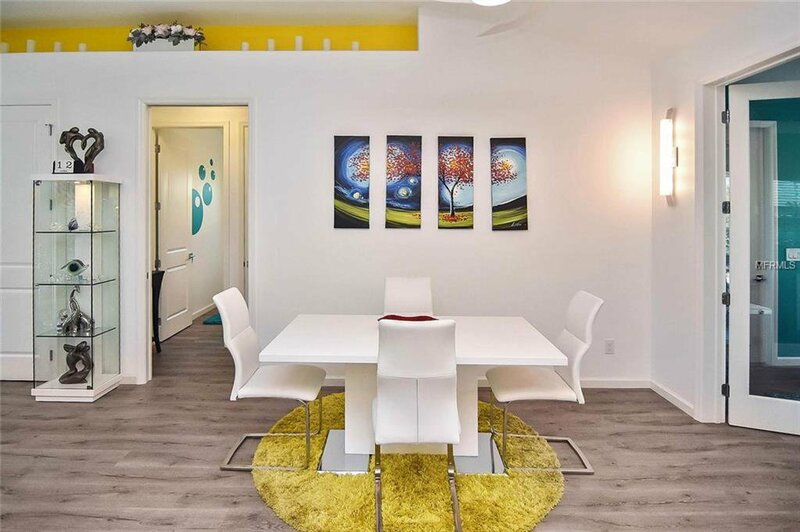 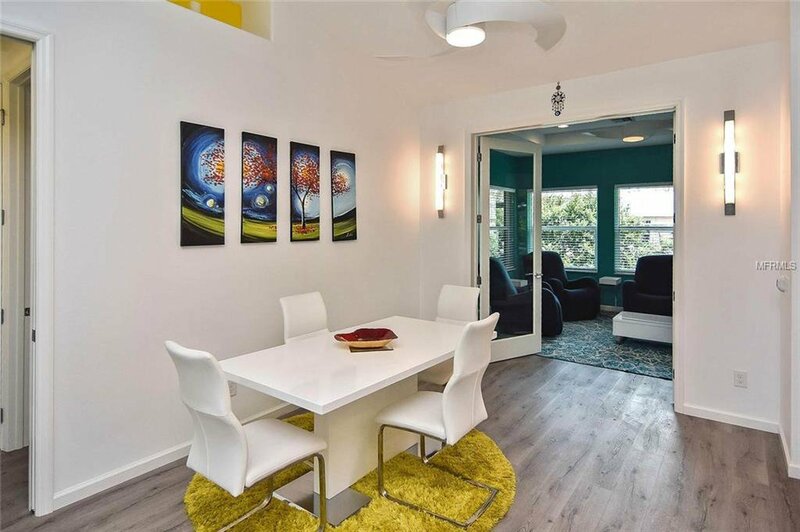 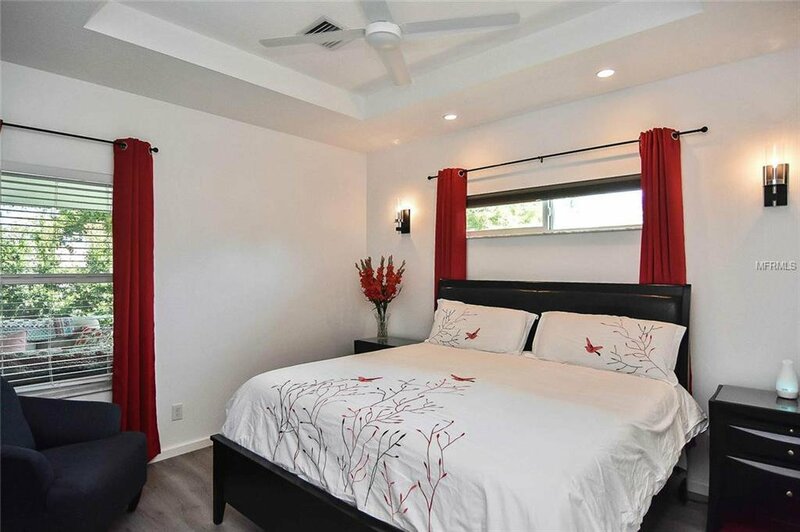 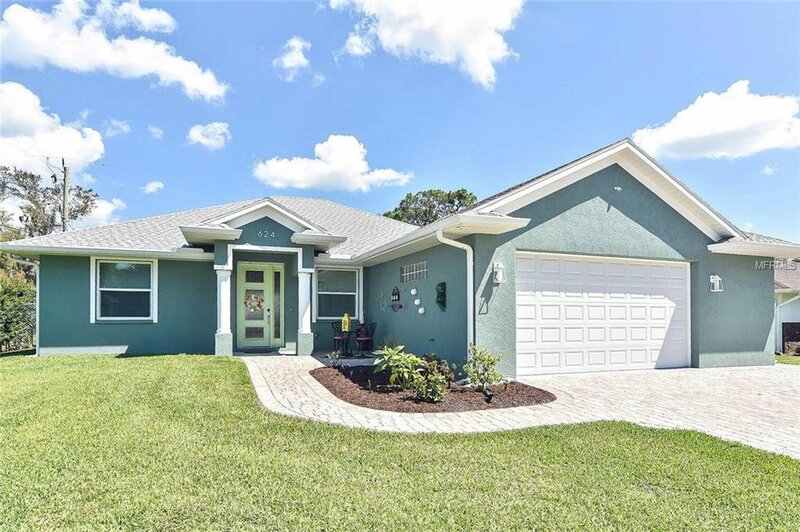 Located on a quiet street with no HOA or deed restrictions. 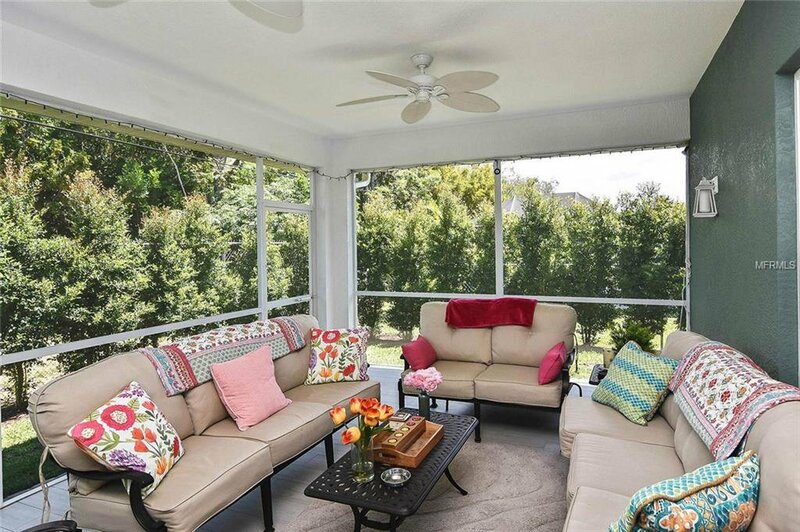 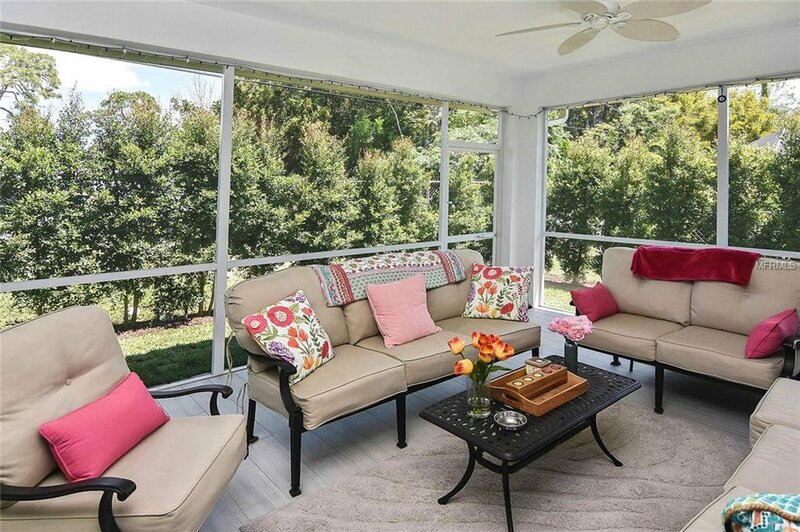 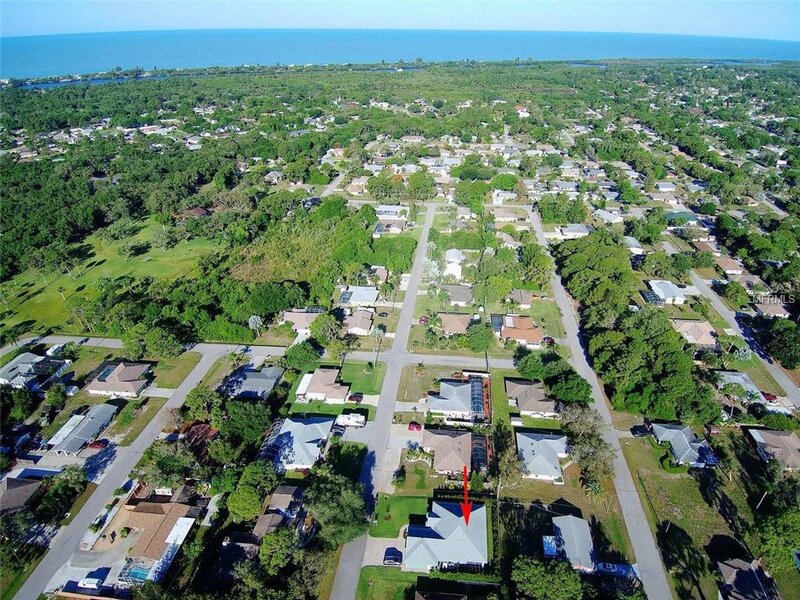 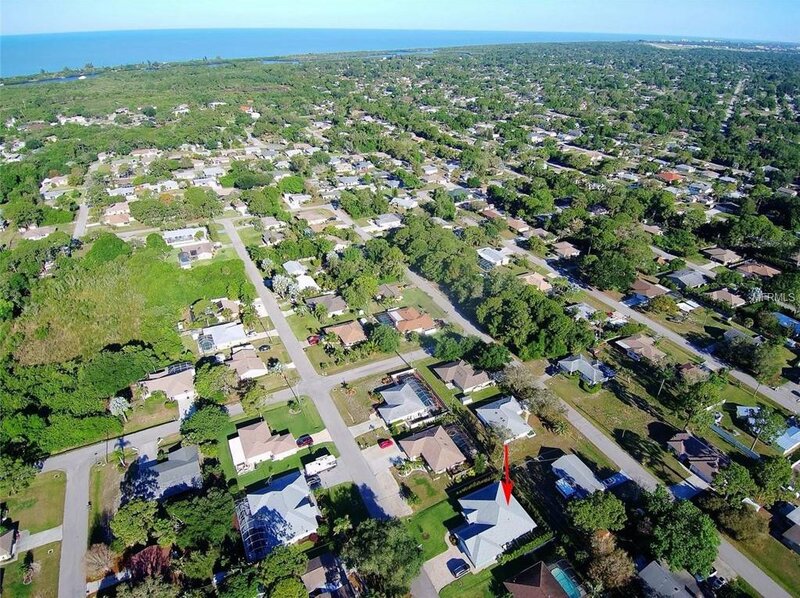 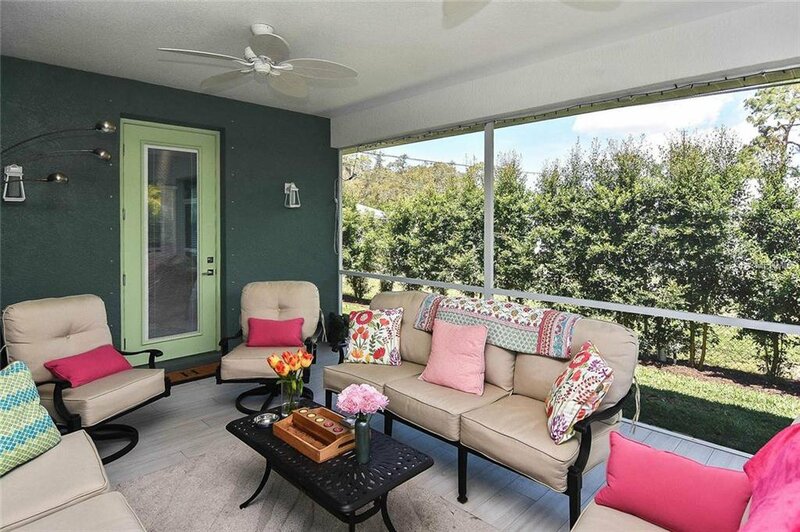 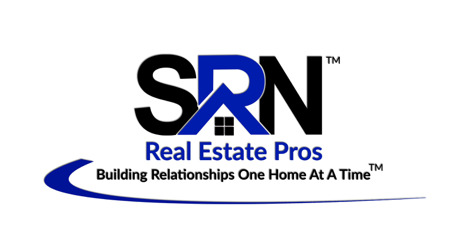 Close to the Intercoastal Waterway and Lemon Bay Preserve. 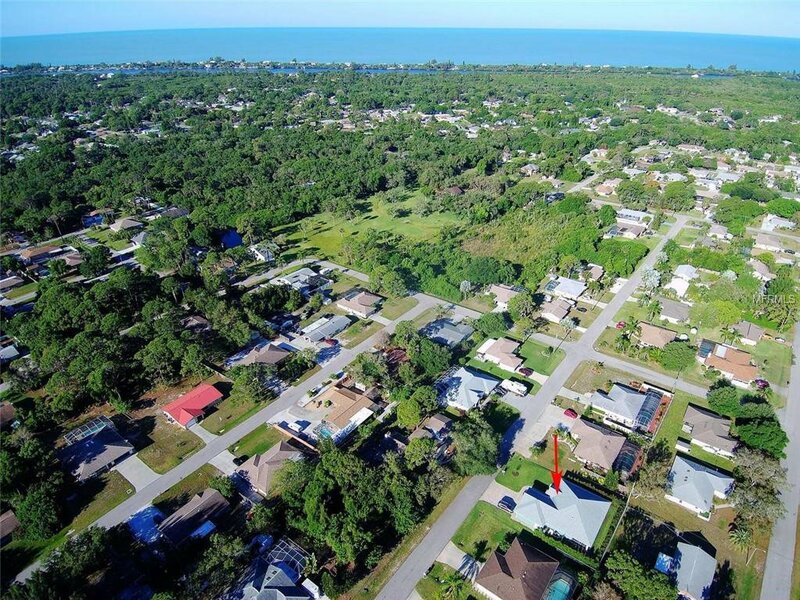 Only a few miles to downtown Venice and numerous beautiful Gulf beaches. 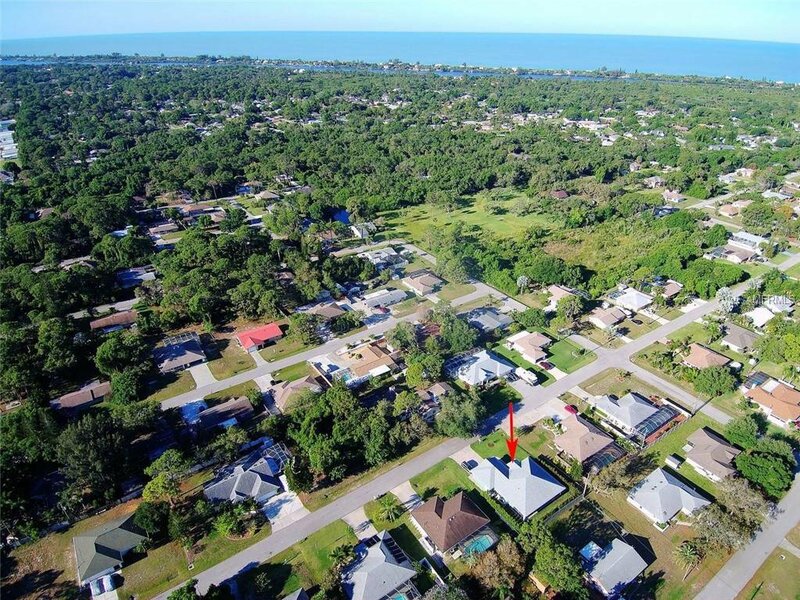 South Venice has an optional Civic Association which features a community boat ramp and ferry service to private South Venice and Caspersen beaches on the Gulf of Mexico.